Christina Kurtich transitions to role of light duty product manager. Previous LDPM Jeremy Brault starts new role as co-director of sales. Recent investments in upgraded technology allow Colson Group to manufacture injection molded wheels and OEM parts with more efficiency and speed. Interactive 3D models at your fingertips. The updated Albion catalog is available online. Browse an interactive, e-catalog, or download a PDF version of specific casters or series. With leading manufacturing facilities located around the world, we take a strategic approach to manufacture our products in the regions that best support the needs of our customers. Utilizing the latest in available technologies, our global design and engineering teams ensure every detail in performance, materials, and aesthetics are delivered to meet customers’ expectations and safety standards. Our leading teams of inside and outside sales support are the most experienced in the industry, and are positioned around the U.S. to provide local support for all of your caster needs. 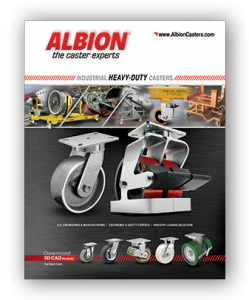 Our expansive selection of existing casters and wheels can meet most any need. 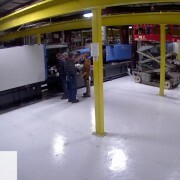 If the best solution doesn’t exist, our experienced engineering teams can work to create you the perfect caster. 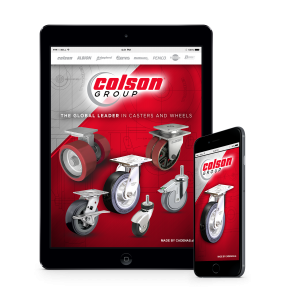 Enter your email address and push “Subscribe” to stay informed of all of the latest product and service updates from Colson Group USA and our leading brands of casters and wheels.